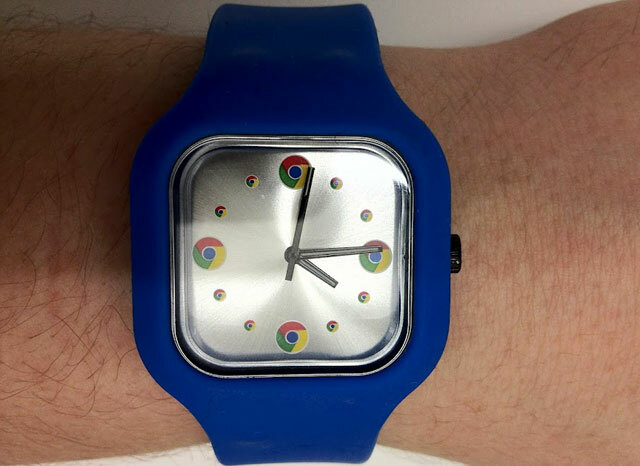 Paul Kinlan, Developer Advocate at Google working on Google Chrome, took a picture of his new watch. Yea, it is a Google Chrome watch in a blue band with a metal background and chrome logos for the hour signs. He posted the picture at Google+ for all to see.